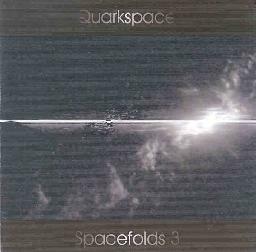 Quarkspace - "Spacefolds 3" / "Spacefolds 4"
Both of these CDs were originally released as cassettes, and along with #'s 1 and 2 of the series, have just been released on MP3 discs, each approximately 30 minutes in length. Quarkspace soup is usually comprised of most of the following evenly-mixed ingredients: several soft layers of synth, keyboard/piano, drums/loops, bass and one or more guitars. "Spring Equinox '97" begins Spacefolds 3, which like many quarkjams fades in with all guns firing, including a warped sound effect, before things kick off again into a beautiful jam. The melodically dynamic keyboard runs are like the noodles that float to the top of the broth. Actually, they're kinda like glass noddles, all sparkly and tinkling. The low-key guitars pluck away insistent and mad in a total jam of joy. You can imagine all five of the guys just bouncing smiles off of each other throughout. "Freakin' with the qboyz" is a boppin' funk jam, with jiggy piano-keys, guitars wiggling all over and various percussions thrown in. "Quarkital" is a uniquely Quarkspace stab at drum-'n-bass, with fluid but complex percussive grooves all throughout and long dub-like bass lines--will keep all appendages in motion! "Sly and the Family Stoned" is a standard noodly quarkjam, but with less punch. More like background music for me. Spacefolds 4 picks up in the same manner with "Fall Approaches", though with piano playing the lead role. This stuff is okay, but like some of Ozric Tentacles' jams, is more suitable for ambience and mood than strict attention. Though like the Ozrics, the playing is always top-notch, so this will often make 'em enjoyable listening for musicians, progsters and the like. And like the Ozrics, their sound is totally theirs. "Chocolate Space Cookies" is a wobbly beatless 3-minute freakspace excursion. "It Flows to the Ocean" is similar but with a somber lead-guitar lick repeating as the intense synth-breath rises. "Trinary Space, Parts 1 and 2" is a monster epic which begins with a layer of too many synths/space-guitars to count. Soft synth washes rise out of the morass somewhat, at times taking on the tone of some classic Camel keyboards. Then some melodies appear. Then a strange effect like a chain dragging on the ground (reminiscent of some of the ambient freak-outs on their National Steam album) as the piece pivots into a slow building rhythm which culminates in a pretty flute riff. Part 2 starts in as a whole new track, meanders in space for a while, then flows into a dark symphonic movement before fading out for good. For more information you can visit the Quarkspace web site at: http://quarkspace.com. 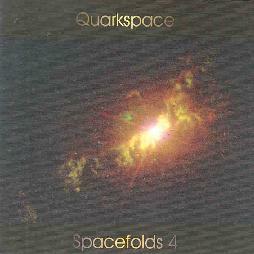 Visit their Mp3.com web site at: http://www.mp3.com/quarkspace.